Since their inception in the early 2000’s, mobile apps have completely disrupted the way businesses function. 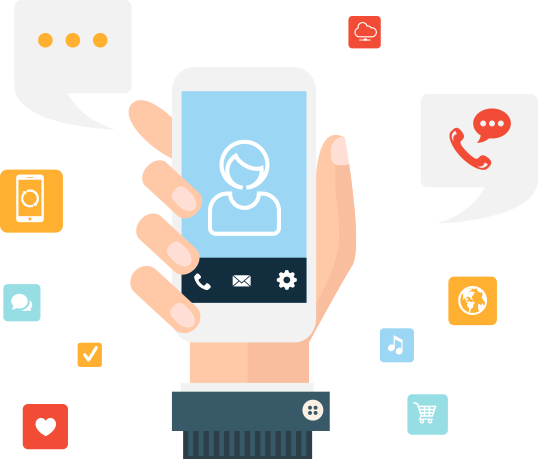 As the mobile app market is known for pushing envelopes in many regards, businesses are tirelessly searching for ways in which these programs can better serve their goals. From connecting with customers more efficiently, to building brand awareness, it’s safe to say the app hype is far from over. As new technologies emerge, the scope of building more competitive apps increases by the day. For instance, businesses are currently experimenting with digital breakthroughs such as augmented reality, virtual reality, IOT, and more. The possibilities for creating one-of-a-kind brand experiences are endless. If designed and executed wisely, mobile apps can open up all kinds of opportunities! For this task, we are here to help you reach your goals with revolutionary mobile app development. Being a full-service digital firm, Ayokay develops apps that clearly distinguish your brand from your competitors. Spectacular UX and UI are the mainstays of our mobile apps. Ultimately, these are the components that keep users hooked. 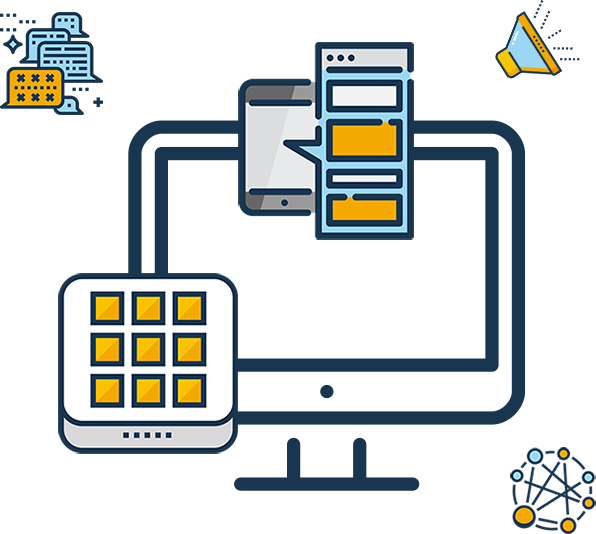 Having developed all kinds of apps for a vast range of business niches, we are 100% confident in seamlessly handling any of your app development projects. We follow your brief to the tee and come up with apps that are engaging with UX/UI at the forefront of every move. Our focus is to ensure that your app gets the whole package – intuitive design with user-friendly features and functionalities. We create foolproof interfaces with the end goal of maximizing downloads and receiving rave reviews that do wonders for your ROI. With each step in our design and development process, we aim to break the mold of the typical app seen in your industry. The apps we create are based on fresh concepts, big data insights, and user-centric capabilities. Ability to engineer robust and scalable apps though exceptional problem solving. Comprehensive knowledge of platform releases to ensure device compatibility. Effective coordination with teams and stakeholders throughout every design. Use of the proven approaches to ensure flawless deliverables. A demonstrated passion for app design and development. Adherence to high-quality standards and app store guidelines. Familiarity with leading mobile tools and technologies. Commitment to stay on top of industry news, trends, and emerging strategies. Ready to commission a mobile app that becomes the next big thing? Ask us for a free quote or talk to us in regards to any query that you might have!